Losing weight can be extremely challenging — but only if you keep on doing things that prevent you from dropping those unwanted pounds successfully. If you are on weight loss journey, then this article is for you. Below it will tell you some of the things that are keeping you from slimming down as trouble-free as possible. Eating is not the enemy — consuming too much food or the wrong food is! And this is the reason why it’s a terrible idea for those who are trying to get rid of excess pounds to starve themselves to death. Instead of not eating, eat foods that are healthy. Refrain from consuming anything that comes in a box or can, or from the nearest fast food joint. - How Many Calories Do You Really Need A Day? Eating the right foods is not enough. It’s also important for you to keep yourself from feeling deprived of some of the most amazing things in life, such as desserts. Go ahead and enjoy dark chocolate or vanilla ice cream once in a while. Moderation is the key to successfully losing weight without feeling deprived. Consuming lots of alcohol is bad for your weight loss goals because of a couple of reasons. First, it’s something that can slow down your metabolic rate because it depresses the nervous system. 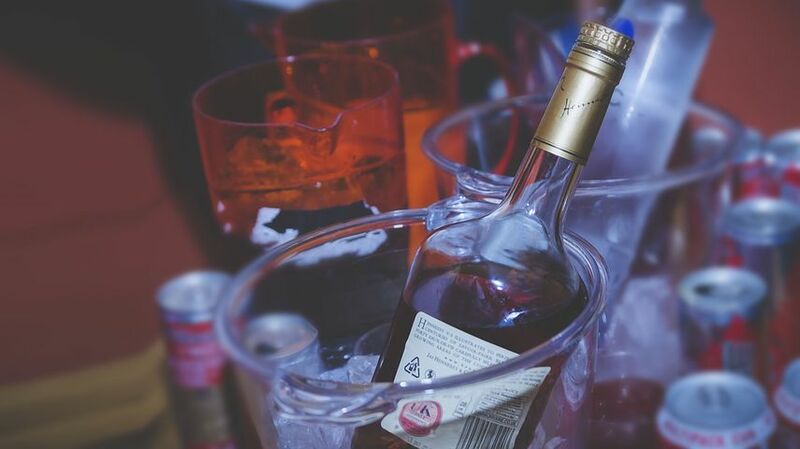 Second, lots of alcohol can make you easily forget which foods can help you lose unwanted weight, and which foods can make you gain lots of it. Helping you to keep track of your progress is a bathroom scale. Go ahead and use it, but up to once a week only. There is no point in weighing yourself every single day as it may only leave you discouraged. Instead of relying on your bathroom scale, observe your energy levels and how well you fit in your clothes to keep track of your progress. It’s not a good idea for you to stress over your weight loss goals because it can actually keep you from attaining your desired weight — being stressed all the time is a weight loss saboteur! Rather than being pressured to look skinny, focus on being healthy because it’s a much easier objective to meet. Every single night, make sure that you get 7 to 9 hours of sleep. Otherwise, you may end up experiencing all sorts of unfavorable things such as fatigue and poor mental functioning. And by the way, sleep deprivation can also leave you as an emotional eater who won’t say “no” to anything edible that can be spotted. One of the most important things to do if you are trying to drop unwanted pounds is exercise on a regular basis. But if you think that exercising all the time is a great idea, think again. According to experts, having too much exercise can cause hormonal imbalance, and it’s something that can keep you from attaining your ideal weight. Having a fitness buddy can help you attain your desired goal — but only if he or she is the right one for you. There is no point in having someone with you at the gym if the person is not serious about getting rid of excess pounds. It’s actually much better for you to be alone and feel awkward than to be with someone who can sabotage your dreams.